I’m happy to report that once again this year I’ll be hosting Movies That Matter, the KC Public Library’s series devoted to some of the greatest titles in cinema history. Movies That Matter: The Sequel consists of 10 titles from both the silent and sound eras. We’ll be showing comedies, musicals, adventures, searing drama, horror – even an animated classic. All screenings are at 1:30 p.m. Sundays in the Truman Forum of the Plaza Branch, 4801 Main St. Admission is free. On the outside it’s a World War I escape movie about Frenchmen breaking out of a German POW camp. 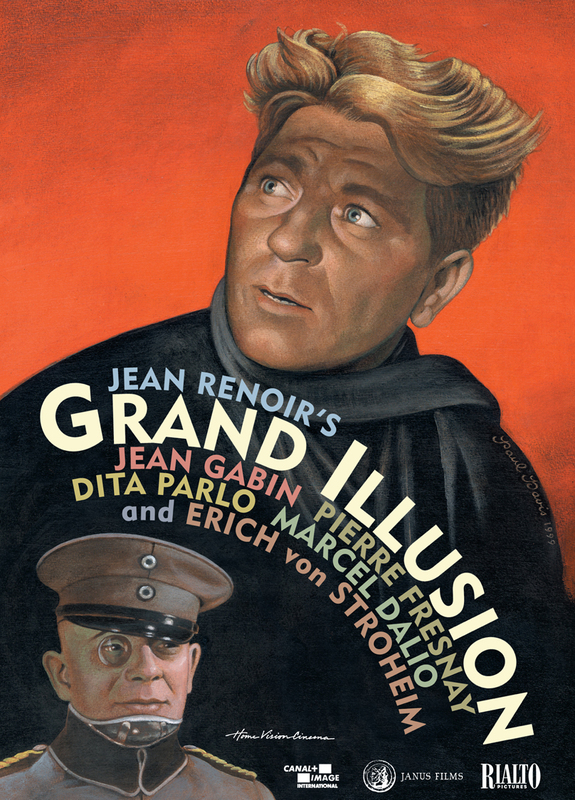 On the inside Jean Renoir’s The Grand Illusion is a meditation on the inevitability of armed conflict and the changing face of European society. The titled French officer De Boldieu (Pierre Fresnay) has more in common with the aristocratic German commander of the prison camp (Eric Von Stroheim) than he does with his own working-class fellow prisoner, Marechal (Jean Gabin). Then there’s Rosenthal (Marcel Dalio), the Jew whose “new money” denotes a future in which competence, not birthright, determines the pecking order. Renoir, the son of impressionist painter August Renoir, was a humanist who observed that no matter which side you’re fighting for, the basic qualities we share should trump the politics that push us apart. But it never works out that way. An end to war? Alas, Renoir argues, that’s the grand illusion. Yes, blogheads, I’ve only recently completed my annual ritual of watching all (well, most of) the movies screening at this year’s Kansas International Film Festival scheduled for Sept. 29-Oct. 6 at the Glenwood Arts Theatre in Overland Park. And, as we’ve come to expect from KIFF, it’s an impressive lineup. (For a complete schedule and synopses of the fest titles, visit www.kansasfilm.com). There are several ambitious and effective social issue documentaries: “Another Planet” (child labor), “Deforce” (racism and political repression in Detroit), “Genocide Revealed” (Stalin’s “ethnic cleansing” of the Ukraine), “Left by the Ship” (the abandoned Philippine offspring of American military personnel), “Project Happiness” (American teens travel the globe to understand the sources of contentment), “The Phantom Wolves of Sun Valley” (the war over reintroducing wolves to the American West). And there’s a handful of Hollywood movies making their regional debut at KIFF: The psychological thriller “Take Shelter” with Michael Shannon and the ubiquitous Jessica Chastain; “We Need to Talk About Kevin,” with Tilda Swinton as the mother of a boy involved in a high school killing spree; “Like Crazy,” a Sundance hit about a British student (Felicity Jones) separated from her American lover (Anton Yelchin) when her visa runs out. Generally speaking, KIFF documentaries tend to impress me more than the narratives. This is no surprise. One person can make a pretty great documentary. “ISRAEL vs. ISRAEL” (3:45 p.m. Sunday, Oct. 2): A GREAT documentary guaranteed to start fistfights in the lobby. Terje Carlsson turns his camera on several Israeli peace activists (one of them a former Israeli soldier, another a grandmother) working to stem what they view as their own country’s illegal annexation of the West Bank and the eviction/subjugation of its Arab inhabitants. These individuals — all Jews — are regarded as traitors by many of their countrymen. 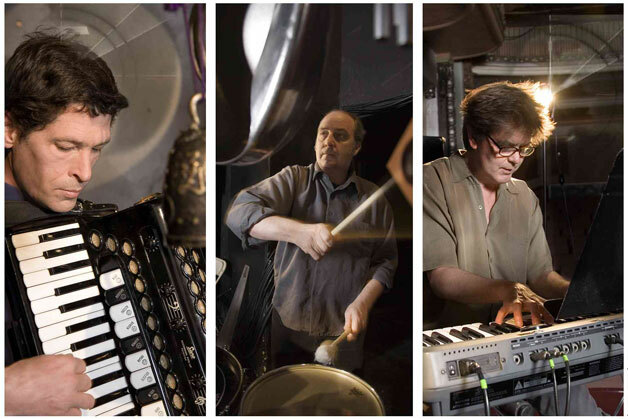 One of the long-standing traditions of the Kansas International Film Festival continues this year with a live appearance by Boston’s Alloy Orchestra, a three-man ensemble (Terry Donahue, Roger Miller, Ken Winokur) specializing in original scores for silent films. This year’s Alloy offering (scheduled for 7:45 p.m. Sunday, Oct. 2) features the boys’ new project, “Wild and Weird,” a collection of classic silent shorts. 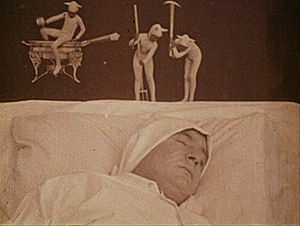 The 10 films on the program include such noteworthy titles as “Dream of a Rarebit Fiend” (1906), “Red Spectre” (1907), “The Acrobatic Fly” (1908), “Princess Nicotine, or the Smoke Fairy” (1909), “Artheme Swallows His Clarinet” (1912) and “The Life and Death of 9413, A Hollywood Extra” (1927). These titles come from the U.S., France, Great Britain, Switzerland and Russia and lean toward the fanciful and surreal. Interspersed with the films is a collection of vintage slides used during the silent era to advise and admonish audiences, promote coming attractions and advertise local merchants. Tyler Roberds in "Pawn's Move"
Local filmmaker Caleb Vetter will premiere his second feature, “Pawn’s Move,” at 2 p.m. Sunday, Aug. 28, at the Palazzo 16 Theater, 135th and Metcalf. Written by northeast Missouri screenwriter Kim P. Wells, “Pawn’s Move” is about a shy young man who inherits from his boss, the late proprietor of an antique story, an item worth several million dollars. With his life turned around and pursued by a money-hungry young woman, our hero relocates to another town where he encounters an equally shy girl with a clouded past. They’re brought together by chess and faith. “Pawn’s Move” was produced by CV Productions, Vetter’s faith-based film company, and stars Tyler Roberds, Jami Harris and Sheena Pena. The film will be shown at the upcoming Kansas International Film Festival (KIFF) at the Glenwood Arts, and at the Marantha International Christian Film Festival. At the Bare Bones International Film Festival it was named Best Family Film and took home the Audience Choice award for best feature. For more information visit the film’s web site at www.pawnslinkthemovie.com. I’ve known John Shipp for more than 30 years, but it took this lighthearted, utterly charming documentary for me to truly appreciate the guy. 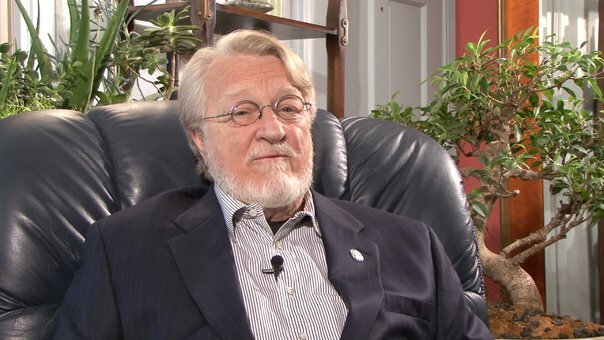 In recent years Shipp has been known as a film booker and as a moving force in Kansas City FilmFest, the Film Society of Greater Kansas City and CinemaKC. But this film, made by his nephews, Devin and Shannon Kelley (their first effort, and it’s a keeper), opened my eyes to Shipp’s wildly colorful backstory. More than four decades ago, we’re informed, Shipp became the youngest MGM branch manager ever. But working for a big company wasn’t precisely what this ambitious guy was looking for.